Our baby room is designed for 0-2-year olds. It can hold up to 15 children a session, in a 1:3 ratio. We have five dedicated staff team members taking care of our youngest of children. The room is open plan and spacious, offering lots of natural light. 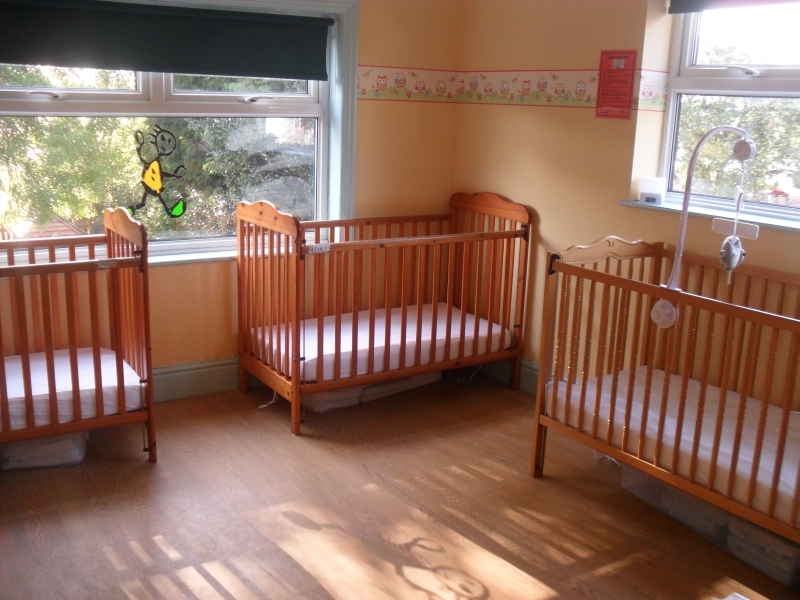 It has its own sleep room, which provides cots for our babies and sleep mats for baby toddlers. All have clean fresh linen provided. We take good care of our sleep equipment and follow the safety sleep guidelines to prevent SID’s (go to our downloads page for more information). We provide balanced meals and will support you and your child through the weaning process. If your child is breastfed, we will offer advice and support on how this can be managed at nursery. We have a feeding chair so you can pop into nursery at any time and feed your baby in comfortable surroundings. 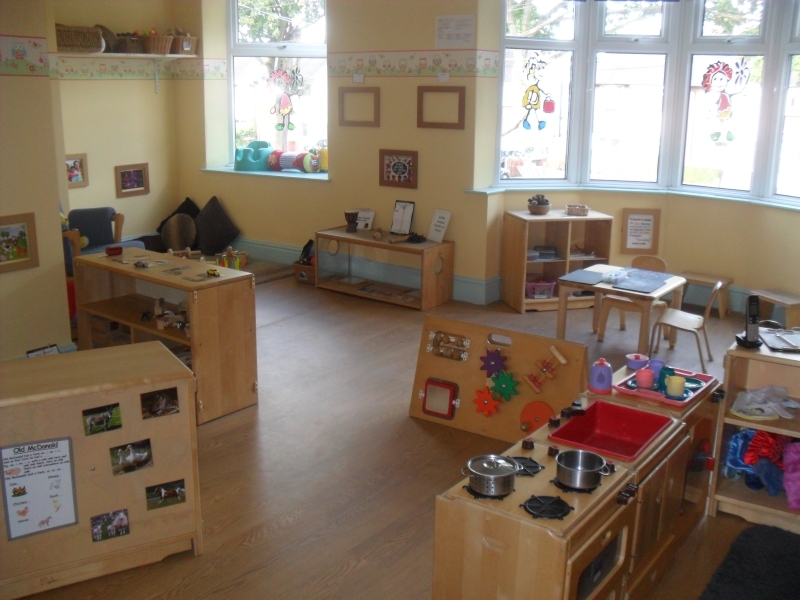 We focus on the prime areas of the EYFS mainly in this room building up the children’s physical skills, supporting them in developing relationships, and building on their communication skills. Babies will have access to our garden daily and they even get to go on outings in our 6-seater transporter. 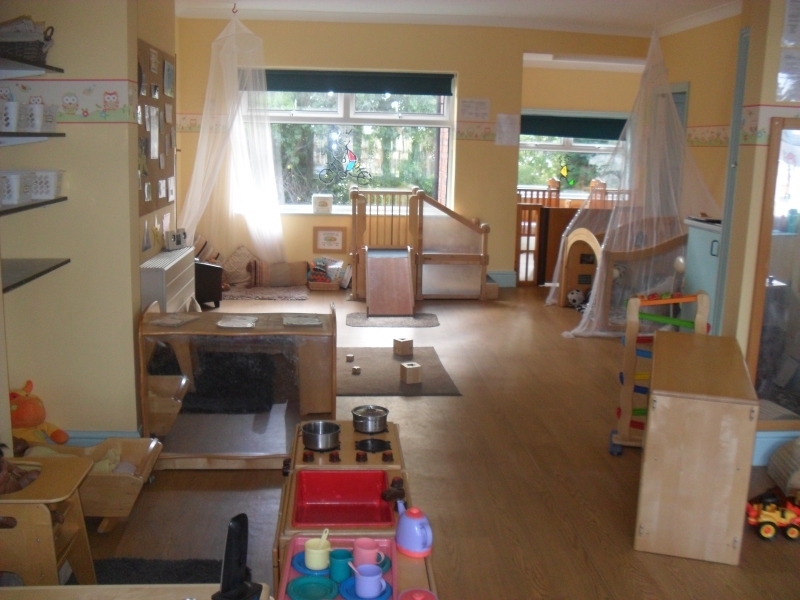 This can be in our local area looking at nature or going to the local children centre to their sensory room.